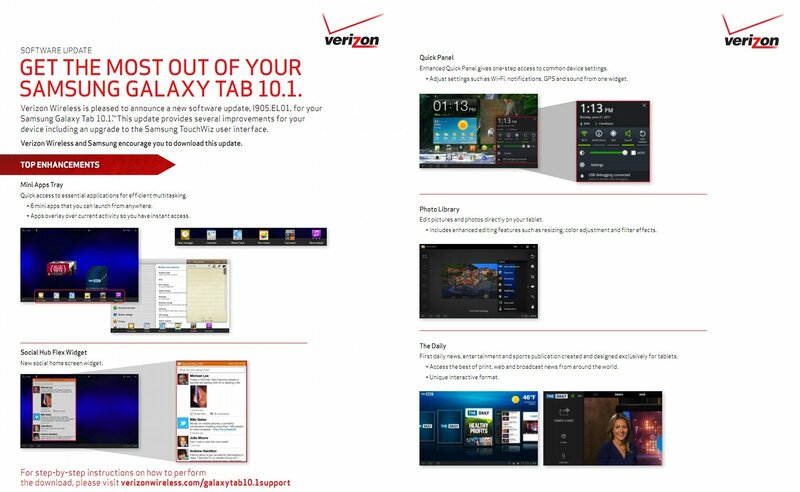 If you own a Samsung Galaxy Tab 10.1 with 4G LTE on Verizon, you should have a pretty major update available to you any day now. 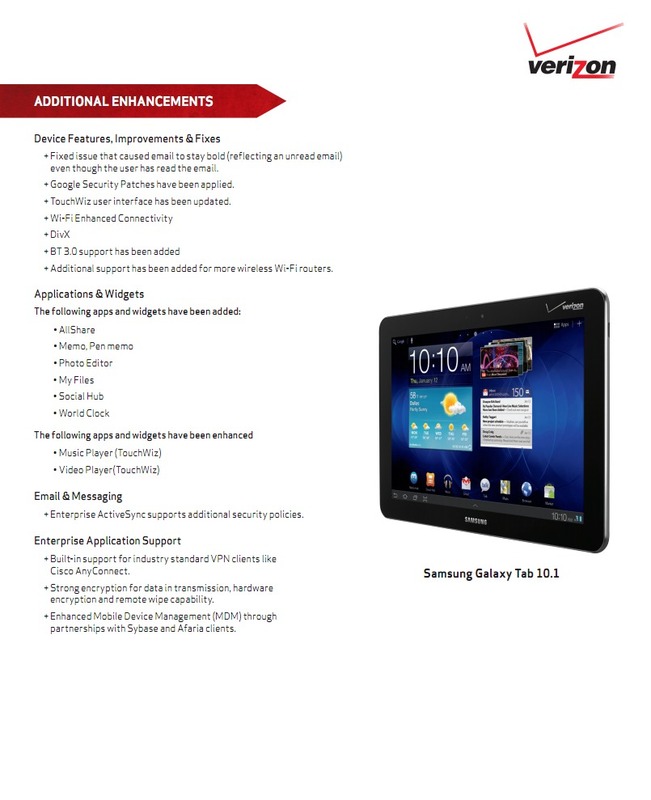 The update is version EL01 and includes TouchWiz for tablets along with a ton of other fixes and improvements. The document above (click to enlarge) will walk you through all of the major changes such as the mini apps tray, quick panel, and social hub widget. If stock Honeycomb was becoming a bore, this should give you some much needed spice. The update itself is 351MB in size, so be sure you are in a strong LTE area or on WiFi before attempting to download.